In addition to our stock standard and custom designed cranes, JDN MONOCRANE also specialise in hoists and other hoisting equipment. Our hoists are the culmination of many years of hoist design and manufacturing experience which means that you’re getting a quality product that has been refined and developed over time. 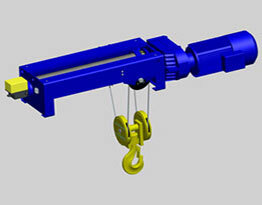 JDN MONOCRANE’s selection of hoists. 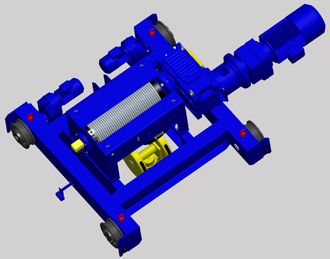 Both electric hoists use similar motors, brakes and controls so the main difference between electric chain hoists and wire rope hoists is in the design of the lifting mechanism. 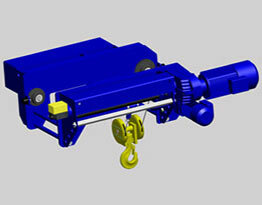 We also offer a compatible hoist for each crane so you won’t need to go elsewhere. Our hoists are available in duty ratings from M3 right through to M8 for the most arduous of working conditions. JDN MONOCRANE Helps You Lift! So if you’re looking for lifting equipment to help you lift beams, steel, machinery, equipment or anything else, JDN MONOCRANE can provide you with reliable cranes and accessories to get the job done. Backed with almost 35 years crane building experience, we know more than just a thing or two about overhead cranes! If you have an enquiry or seeking a quote, call us now on 1300 666 272.